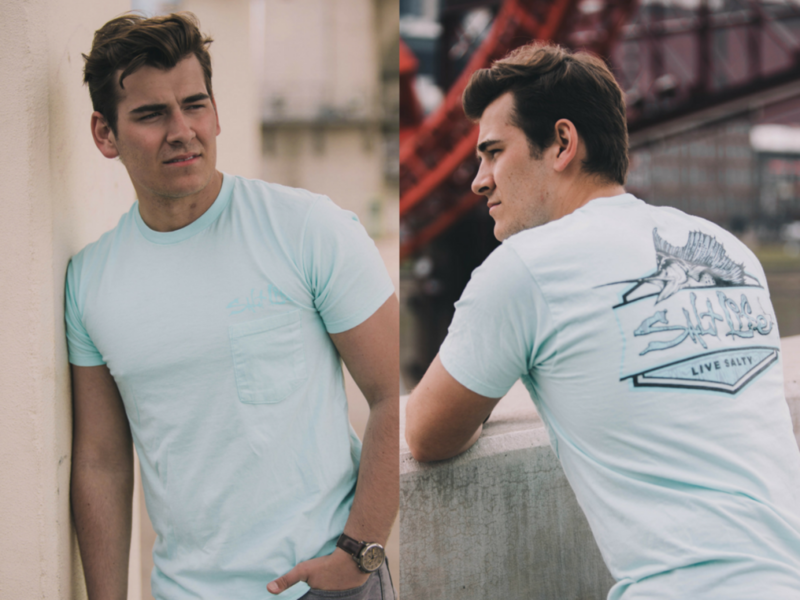 Salt Life, one of today’s leading lifestyle brands, announces the addition of emerging country artist and actor Zach Seabaugh to Team Salt Life, a group of athletes and musicians that embody the Salt Life brand. Zach Seabaugh hails from Marietta, Georgia and is finishing his freshman year at Middle Tennessee State University, where he is majoring in Recording Industry Management. Zach is currently featured in the Netflix Original Candy Jar and starred in the multi-award nominated musical Troubadour in 2017. Additionally, he’s performing a residency at Ole Red in Nashville, Tennessee. “I’m really excited to be partnering with Salt Life. I grew up fishing and taking trips to the beach. It’s always been a huge part of my life so I’m honored to be part of Team Salt Life,” states Seabaugh. Salt Life is celebrating its 15th anniversary as the premiere lifestyle brand for those who “live the Salt Life.” The brand experienced tremendous growth in 2017, with new retail stores now open in Huntington Beach, California, Columbus, Georgia and Daytona Beach, Florida. As part of the Salt Life Gives Back initiative, Salt Life partners with organizations that strive to protect the ocean and its wildlife through conservation efforts, enforcement, reef creation and sustainability programs. Learn more about Team Salt Life here and on Salt Life’s YouTube channel. Seabaugh is a country singer-songwriter who appeared on Season 9 of the NBC show The Voice, where he placed fifth in the overall competition and his dream of pursuing a career in country music was set in motion. Zach released his debut EP in the summer of 2016, which entered the iTunes Country Album Chart at #3, and Billboard’s Country Music Charts at #25. He has performed at venues such as Ryman Auditorium, the Grand Ole Opry and Cobb Civic Center and has opened for Jennifer Nettles, Scotty McCreery, Lady Antebellum, Chris Janson and more. In 2017, he starred alongside Radney Foster in the multi-award nominated musical Troubadour at Atlanta’s Alliance Theatre, earning rave reviews. For more information, visit ZachSeabaugh.com.